Depature from Delhi / Mumbai / Kolkata /Pune or From local city. 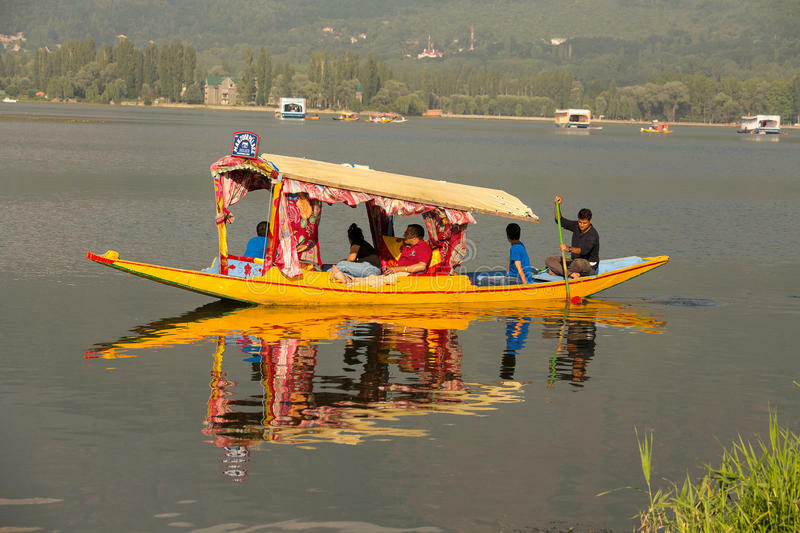 Arrival in Srinagar meet our Online Holidays representative and transfer to Srinagar City. Srinagar pride of the beautiful valley of Kashmir famous for its lakes dotted with Shikaras and the Mughal Gardens. while reached in srinagar check in Houseboat and in the eveing leave for shikara ride in Dal lake for 2 hrs. Return back to houseboat for Dinner and Overnight in the Houseboat. After morning breakfast visit Nishat Bagh or the Abode of pleasure, which was built by Asif Khan in 1632 AD. Asif Khan is the brother in law of the Mughal Emperor Jahangir. Also visit the delightful Shalimar Bagh or the Abode of love. Shalimar Bagh was built by Jahangir for his wife Empress Noor Jehan. This gardens situated on the bank of Dal Lake, have the Zabarwan Mountains in the background. The distance from Srinagar to the said gardens is near about 12 and 15 kms respectively. Later you can also visit the carpet-weaving factory on the way. Enjoy the dinner and spend the night in the Hotel. After breakfast proceed for a scenic drive to Gulmarg. Gulmarg (Meadow of Gold). Gulmark was discovered as a tourist destination by the British in the 19th century. Prior to that, Mughal emperors vacationed in the Gulmarg valley which is about 03 kms long and up-to 01 km wide. Gulmarg has one of the best Ski slopes in the world and highest golf course of the world with 18 holes. One can also have the view of Nanga Parbhat if weather permits. The view enroute from Tangmarg to Gulmarg is fascinating. One can also have a short trek upto Khilangmarg which can be covered in about 3 to 4 hrs or enjoy the scenic view of Kongdori on a Cable Car Known as (Gondola). Later drive back to Srinagar. Enjoy the dinner and spend the night in the Hotel..
Today after breakfast, drive from Srinagar and proceed to Pahalgam its around 95 Kms 3 hrs drive approx. On arrival at Pahalgam, After you reach Pahalgam visit Pahalgam Market, Pahalgam Recrectionl park then proceed for excursion trip to Aru, Chandanwadi, Betab Valley. You need to take local vehicle on direct payment basis as local taxi union does not allow outside vehicle to do sightseeing. Driver will help you in booking local taxi. later in evening drive back from Pahalgam to Srinagar. Enjoy the dinner and spend the night in the Hotel..